Why the Triangular Trade as a topic? 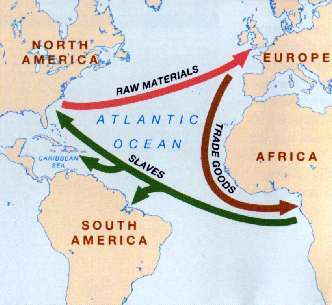 The Triangular Trade involved numerous nations, both in Europe, Africa and America. An estimated number of 10-20.000.000 men, women and children were taken away from their homelands against their will under cruel circumstances to serve as slaves in the 'New World'. This is the largest mass-deportation of human beings ever, giving immediate and permanent consequences both in the African as well as in the American and European nations. The economical, political, demographical, etc. results of this large-scale slave trade is considered a major factor of the current gap in between rich and poor countries constituting the so-called 'North-South conflict'. To enable students fully to understand this 'conflict' they should be aware of different aspects of its background. It is compulsary to Norwegian students to do at least one inter-curricular project each year. The 'Slave Route' project involves a number of different subjects (English, History, Social Science, Geography, Religion, etc.) on a strict curricular basis, and should therefore appeal to most teachers. We will use the Danish-Norwegian slaver 'Fredensborg' as a framework for our project. The ship ended its life as a slaver in a violent gale just outside the little Norwegian town of Arendal in 1768. 'Fredensborg' was then about to finish its final leg of a 'triangular' trip from Copenhagen to Ghana with industrial products, from Ghana to St. Croix (the Virgin Islands in the Caribbean) with slaves, ebony, etc., and from St. Croix back to Copenhagen with sugar, tobacco, rum, etc. In 1974 the wreck was found by divers, and a large number of invaluable remnants was taken up from the sea bed. 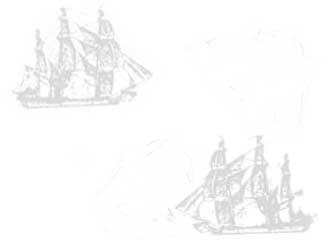 In combination with documents found in Danish-Norwegian archives it has been possible to reconstruct Fredensborg's last voyage in detail. We hope to be able to get in contact with secondary schools in West Africa, where the two Danish-Norwegian forts were situated (Ghana), and in the Caribbean, thereby founding a new triangle, but this time a positive triangular cooperation based on the joint efforts of students and teachers, and for the benefit of everybody.